Last week's arrest of two black men for "trespassing" in a Philadelphia Starbucks has led to a full week of protests and public outcry -- and a volley of apologies from Starbucks in response. The latest and maybe the most extensive is from Howard Schultz, the man credited with making the chain the coffee titan it is today. On Wednesday, the former-CEO and current executive chairman appeared on CBS This Morning and told host Gayle King that the incident made him "embarrassed" and "ashamed." “There’s no doubt in my mind that the reason [the police] were called was because they were African American," Schultz said, citing unconscious bias. "That’s not who Starbucks is. That’s not who we’ve been and that’s not who we’re going to be." Schultz took some of the blame off the employee who made the original 911 call. “I don’t think she intended when she made the call for police to arrive and arrest the two young men.” The store manager is no longer working for the chain, however, a parting that Starbucks described as “mutual.” Schultz met with her and suggested that it's possible she and the two men will have a reconciliation. This comes after several days of protests and sit-ins culminated in the announcement that Starbucks will close all of its roughly 8,000 American stores and its corporate offices on the afternoon of May 29 for racial-bias education. This shutdown could cost the company $16.7 million in lost sales, according to Bloomberg News. When King pointed this loss out to Schultz, he explained: "I’ve always viewed this and things like this as not an expense but an investment in our people and in our company." Current Starbucks CEO Kevin Johnson met with the men who were arrested earlier this week and personally apologized. Starbucks expressed interest in using its resources to assist the two men in their future business endeavors. 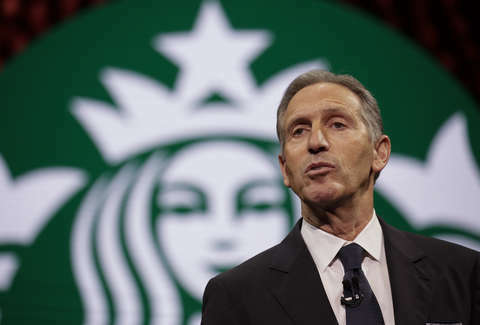 Schultz explained that it's likely Starbucks "will provide them with a foundation and give them an opportunity to be part of our company, either directly or indirectly, as a result of this situation."